Prior to my earning my Master's Degree in Chinese Medicine, I was a Certified Massage Therapist in private practice for 5 years. With over 600 hours of education at IPSB in San Diego, I specialized in deep tissue, trigger point therapy, and acupressure but also utilized a variety of techniques, including craniosacral, passive joint movement and Thai massage. While I no longer provide full hour-long sessions, I often incorporate some therapeutic massage into my treatments with my orthopedic pain patients. I find that needling the area first and unblocking the energy in the corresponding meridians allows the muscles to receive the bodywork on a deeper level and relax much more easily than massage alone. Cupping is an ancient technique, used in many cultures, in which a cup is applied to the skin and held in place by suction. The suction draws superficial tissue into the cup, which may either be left in place or moved along the body. Traditional cupping, sometimes referred to as “fire cupping," uses heat to create a vacuum-like suction inside of glass cups. The suction and negative pressure can loosen muscles, encourage blood flow, and sedate the nervous system (which makes it an excellent treatment for high blood pressure). Cupping is used to relieve congestion in the lungs, back and neck pains, stiff muscles, anxiety, fatigue, migraines, rheumatism, and even cellulite. 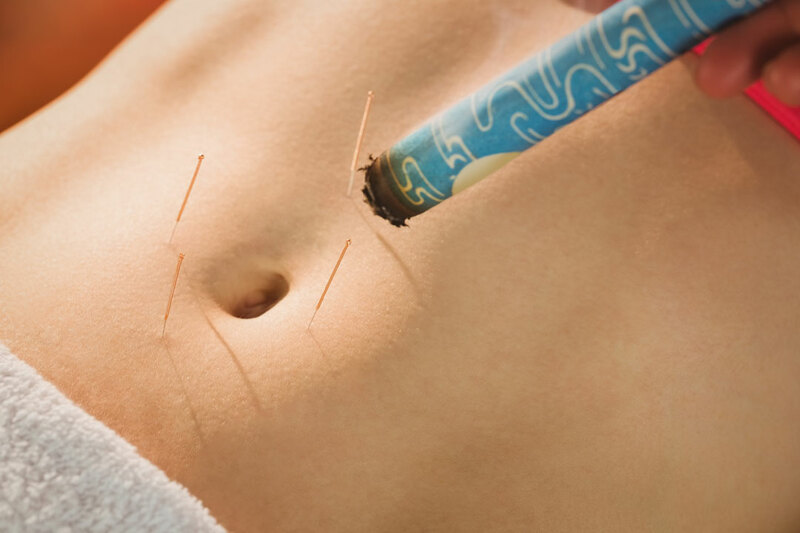 The procedure for electro-acupuncture usually involves needles inserted as in a traditional treatment, but then a small electrode is attached to them. This electrode provides a gentle vibration that stimulates the qi running through these points. It is used primarily in the treatment of neurological diseases, chronic pain, spasms, paralysis, sports injuries and post-operative recovery. Electro-acupuncture has been proven to promote the flow of qi and blood to relieve pain, warm the muscles, and remove blood stasis (a blockage, or poor circulation). Like Chinese Medicine, the use of oils extracted from plants, herbs and flowers has been around for thousands of years. 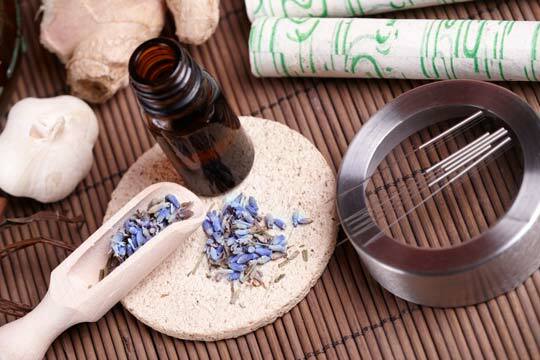 Ancient cultures from all over the world have used various forms of aromatherapy because they understood the healing properties of essential oils and the aromas that come from them. When applied to the skin, the essential oils are absorbed and enter into the lymphatic system, which then circulate into the blood stream. Eventually they make their way into the brain and impact the limbic system, having a very powerful effect both emotionally and physiologically. I will incorporate essential oils with properties specific to your condition by putting them on various acupuncture points prior to needling. I use the highest grade essential oils in my practice made by Snow Lotus. Read more about the company and their oils here.